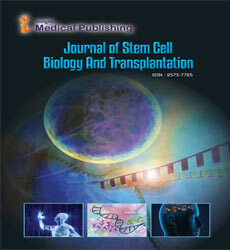 Journal of Stem Cell Biology and Transplantation provide a platform for the researchers, academicians who are associated with Reproductive medicine and contraceptives. The journal publishes articles on the latest research and development contraceptives studies. Authors are welcome to submit articles in the form of a research article, review article, short communications, brief reports and case studies, letter to editor and commentary, etc. Manuscripts number will be provided to the corresponding author within 72 hours for the respective manuscript submitted.